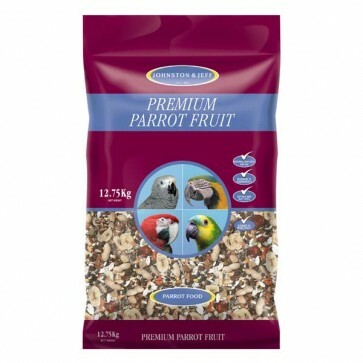 The Parrot Fruit Mix is a complete feed for suitable for all Parrots, formulated using 22 different ingredients, with over 50% of the mix being made up of fruit, nuts and vegetables, a close match to a natural balanced intake for parrots in the wild. 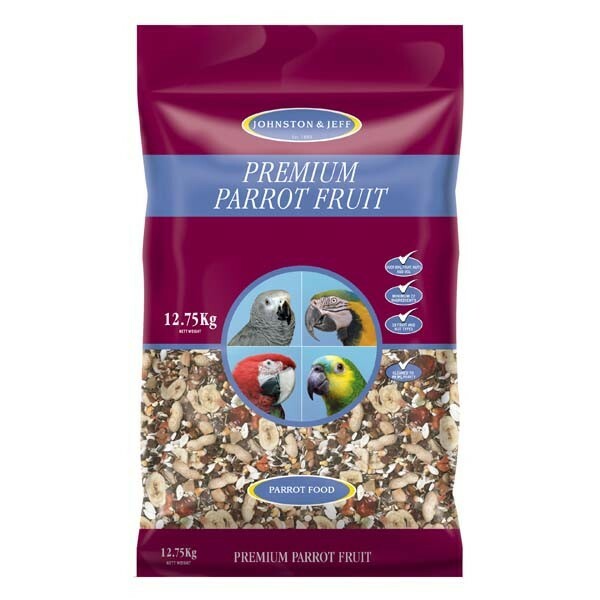 The parrot fruit mix has been designed by johnston and jeff to be nutritionally rich, extremely palatable and be interesting for your parrot to eat, with 5 different fruits, 5 types of nuts all of which are tested to human consumption grade, with added vegetables and seeds too! 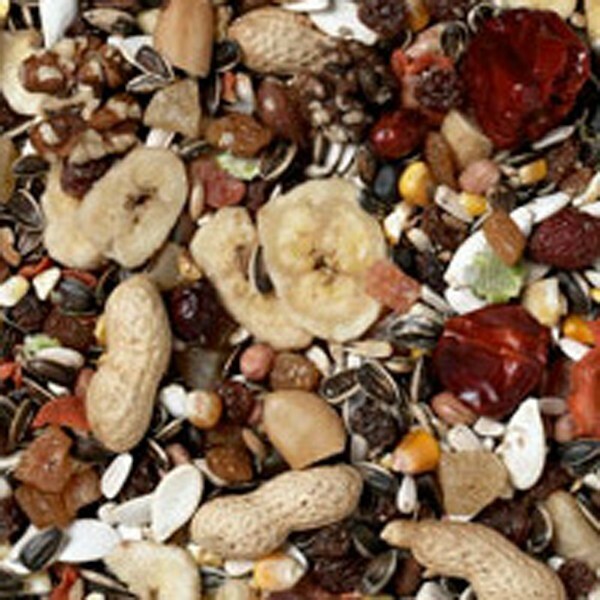 Parrot Fruit Mix Contains: (Over 50% Fruit, Nut & Vegetables) Medium Striped Sunflower, White Sunflower, Banana Slices, Currants, Carrots, USA Large Striped Sunflower, Safflower, Puffed Maize, Pumpkin Seed, Flaked Peas, Clipped Oats, Paleskin Peanuts, Rosehips, Diced Papaya, Monkey Nuts, Diced Pineapple, Chopped Apricots, Brazil Nuts, Pine Nuts, Walnut Halves & Chillies.